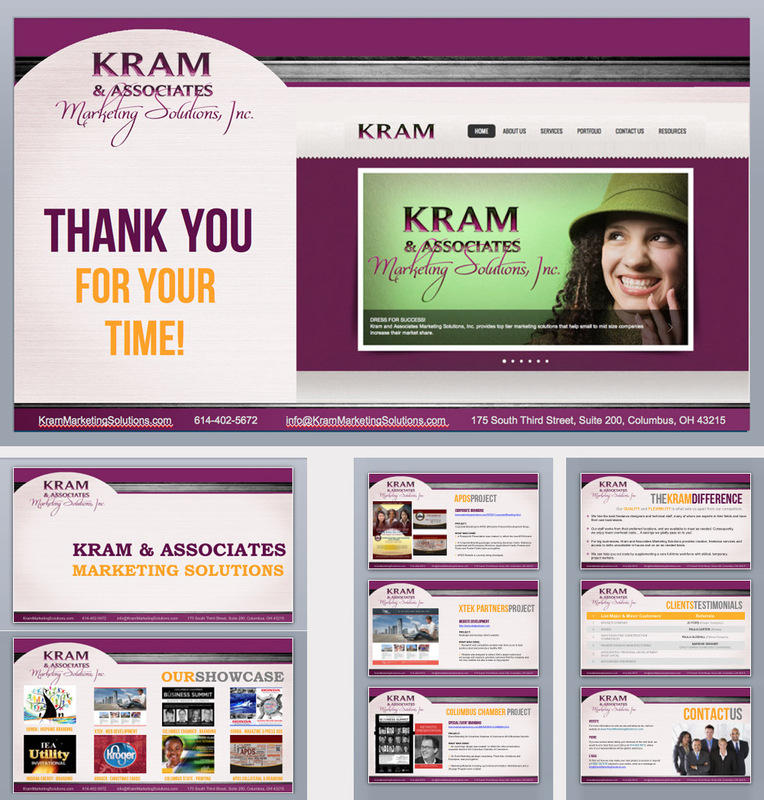 Kram and Associates Marketing Solutions, Inc. (KRAM) provides top tier marketing solutions that meet and exceed client expectations and increase their market share. 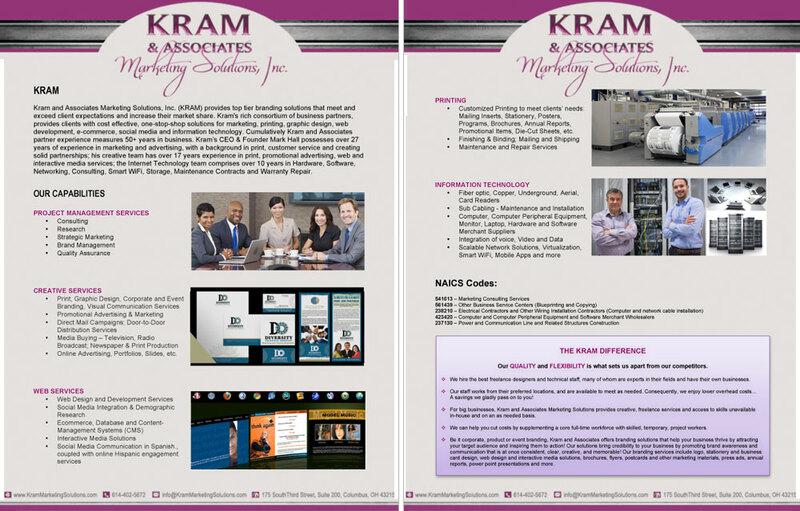 Kram's rich network of business partners, provides clients with cost effective, one- stop-shop solutions: marketing, printing, graphic design, website development, e-commerce, social media and internet technology. 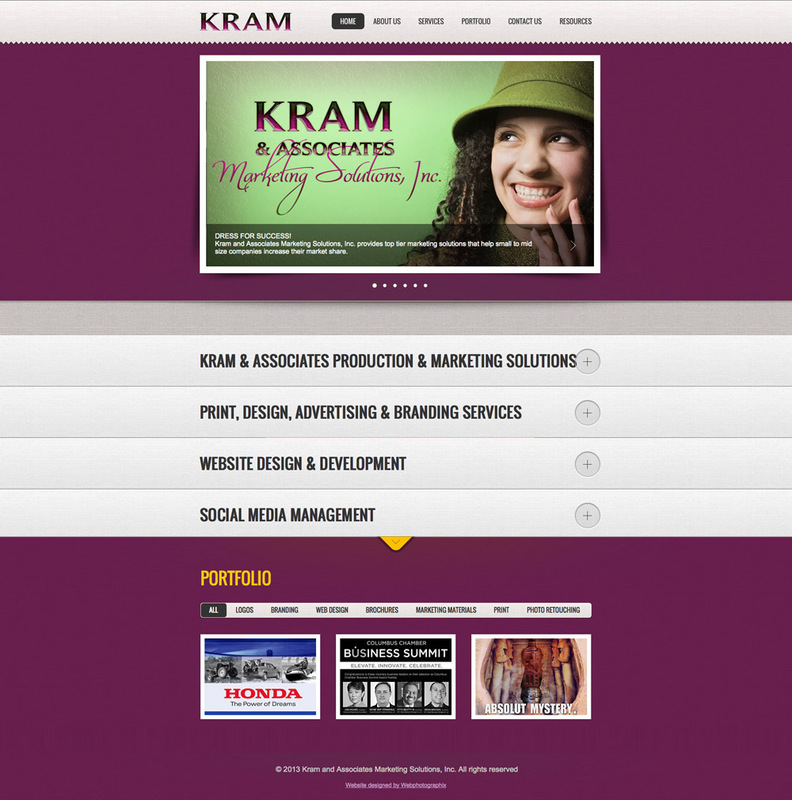 Kram believes in diversity. They are a minority-owned business that hires the best freelance designers and technical staff, many of whom are experts in their fields and have their own businesses. Their mobile staff work from their preferred locations, and are available to meet as needed. As such, they enjoy lower overhead costs... A savings they gladly pass on to you! 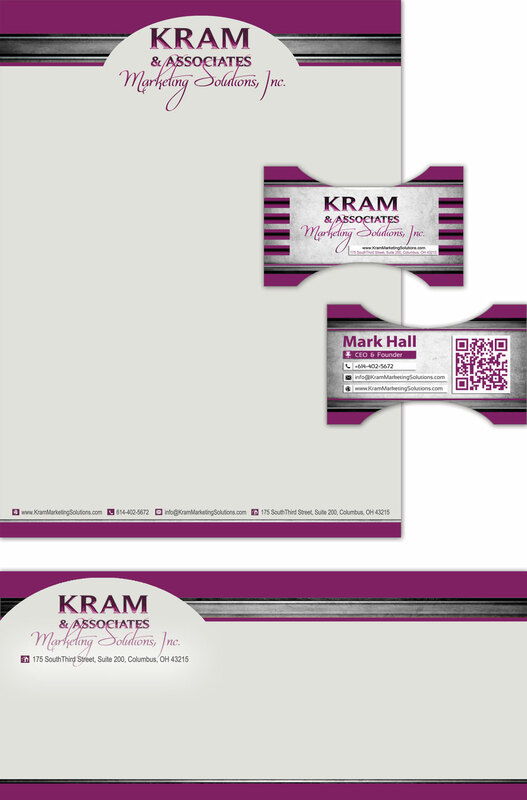 Create business collateral and marketing materials for Kram and Associates Marketing Solutions, Inc.
A Corporate Branding package comprising: A Logo, Business Stationery (Letterhead, Envelope and Business Card) and Invoice were developed. © 2013 Webphotographix: Freelance PHOTO, WEB & Graphic Design.